Mr. Drew Leigh, from New York, NY, is the editor of enthusiast site Motoring Con Brio. Obviously an enthusiast himself, he splits his driving time between a pair of BMWs. In some ways, they’re rather similar: they’re both propelled by inline sixes mated to five-speed transmissions. But the contrast between these two cars isn’t limited to their colors, in fact ‘contrast’ is quite an appropriate metaphor. The M3 is punchy down low and the M5 peaky up top. 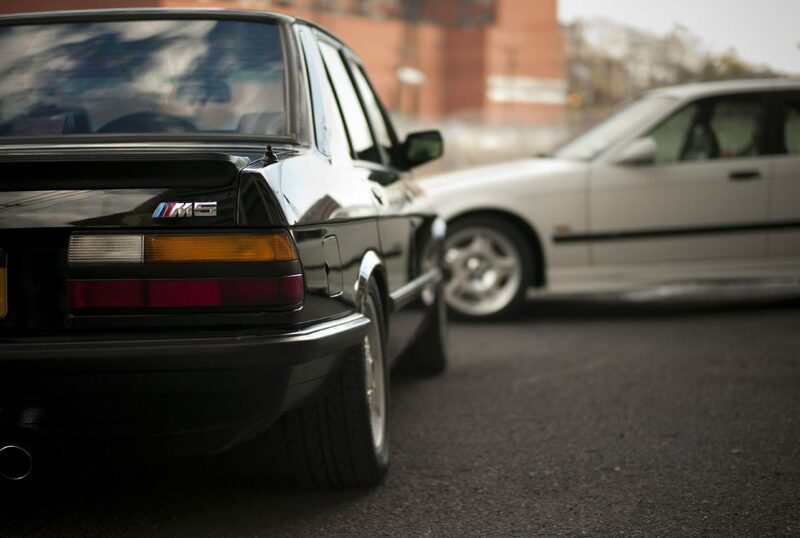 The M3 is playful, the M5 is all business. One attacks corners, the other comfortably storms down the freeway. And while he prefers to drive them outside of NYC’s congestion, he finds that driving them in the city can also bring out the secret car-lovers in this otherwise automotively apathetic city. Q: What do you love about your cars? A: The M3 is super playful and fleet of foot—just a really fun car to tool around in, even in the city. 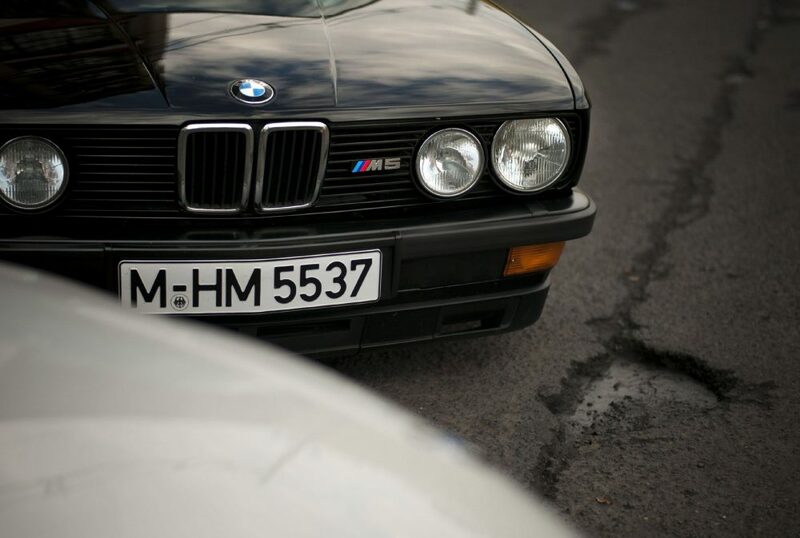 The M5—well, the M5 is just hard to tear your eyes off of. Once in the driver’s seat, it’s even harder not to bury your right foot deep in the throttle to hear its motor sing. It’s really happiest on the open road, though, not going stoplight to stoplight. Q: Where do you enjoy driving them? A: As far away from the city as possible, usually. But the M5 is sometimes fun to take out around town just for the interactive experience with one’s fellow New Yorker. 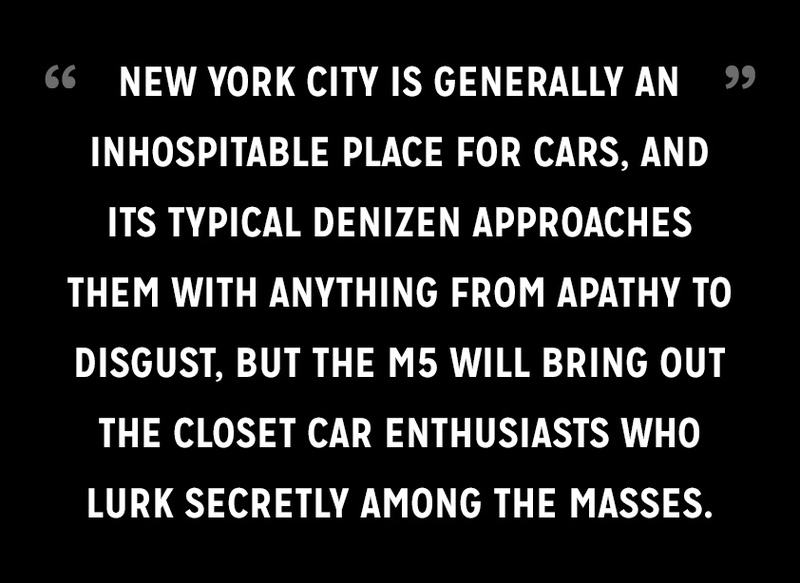 New York City is generally an inhospitable place for cars, and its typical denizen approaches them with anything from apathy to disgust, but the M5 will bring out the closet car enthusiasts who lurk secretly among the masses. They will make themselves known to you when you are stopped at a light or getting in or out of your car. The beauty of the M3 is that it’s a joy to drive everywhere, from the track to running mundane errands around town—it doesn’t need a twisty road in order to be enjoyed (of course, it also doesn’t hurt). 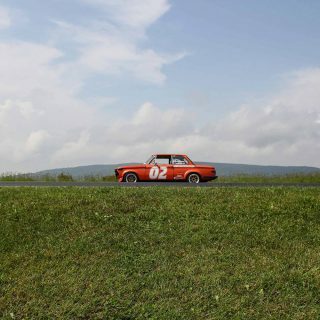 But I’m happy driving the car to Lime Rock Park or the grocery store. Q: You mention that you like the contrast in color and road manners. Did you set out to get them in black and white or did that just happen? 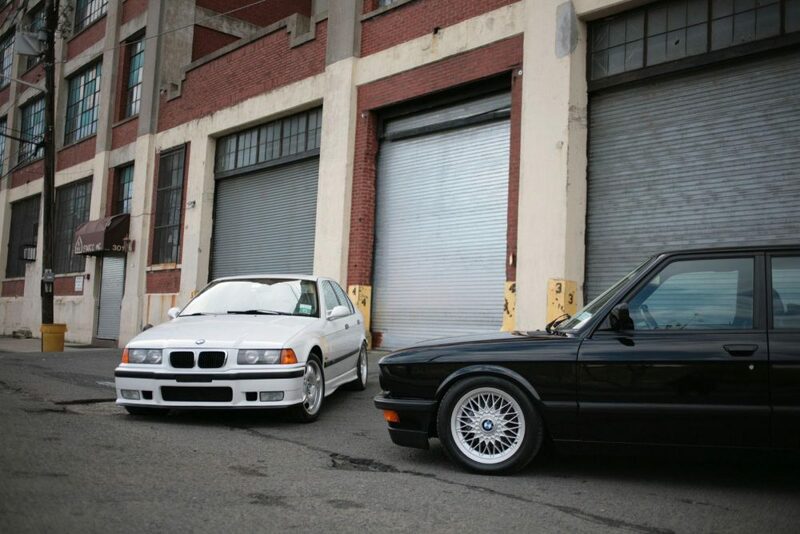 A: I certainly didn’t set out for it to happen that way, but it wasn’t hard to do: the E28 M5 was famously offered only in black (in the US); as for the E36 M3, white is one of the few colors I like on it—I’m a fan of the ‘stormtrooper’ look with the contrasting black trim—so I specifically set out looking for a white car. Q: What has been the biggest surprise about these two cars? A: With the M3, what a joy it is to drive. 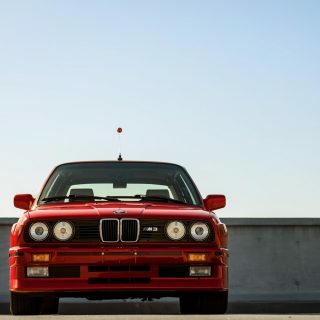 The E36 is overlooked and underappreciated now—everyone loves the E30 M3, and of course I’m no exception—but when it was new, automotive journalists really loved and raved about the E36 M3. You begin to see why. With the M5, the peakiness of the motor. You read about how gutless the E30 M3 and the E28 M5 feel at low revs, but you can’t really comprehend it until you’re behind the wheel. These cars really need to be wrung out in order to be happy. Coming from cars that make relatively good torque down low, that took some getting used to. Q: Ten years separate the cars, how do you think BMWs changed in the intervening years? A: There was a tremendous leap into modernity. The ’88 really feels its age, but the ’98 has relatively modern creature comforts such as one-touch windows, automatic climate control and a (trunk-mounted!) six-disc CD changer. But it’s not all positive: the E36 in particular isn’t exactly known for great build quality (BMW did lots of cost-cutting with this chassis) and the interior hasn’t aged very well (think lots of plastic). Q: How is the ownership experience for both, is one easier to find parts and upgrades for? A: As an ‘ease-of-ownership’ proposition, as well as a platform for upgrades, the M3 handily beats the M5. Parts for the M5 (nay, E28 parts in general) are quickly disappearing (“NLA” in enthusiast parlance), and its motor has a bit of a reputation as being a money pit. E36 M3 parts, on the other hand, are still (for the most part) readily available – new and used – and there is a whole aftermarket industry devoted to making these cars go faster. But that’s to be expected: there were over 70,000 E36 M3s produced (of which a little less than half made it to our shores), versus just over 2,000 E28 M5s. 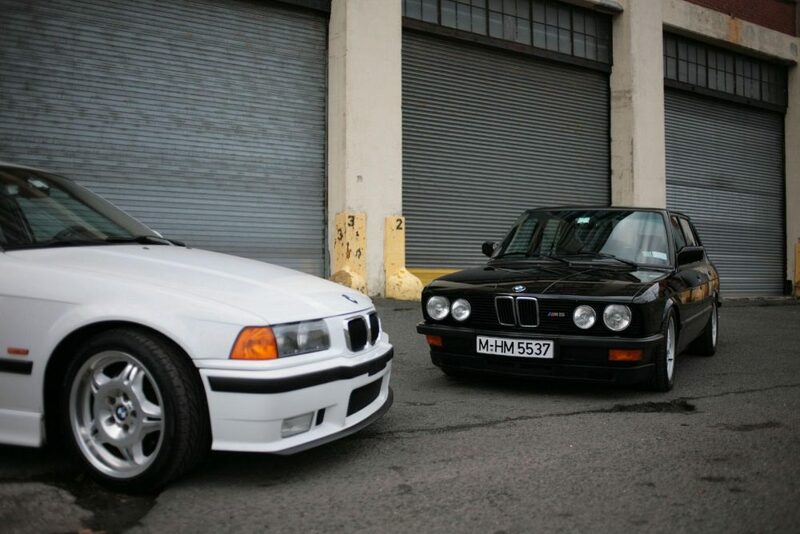 Q: What other BMWs have you had and how do they compare to these two? A: I had non-M versions of the E30 and E28 prior to the current stable. Those were great cars in their own right. 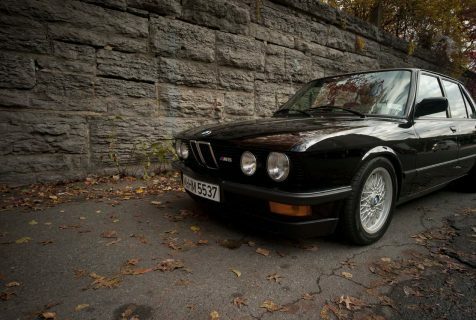 The E30 was super basic and felt so nimble and communicative. It didn’t make great power but that wasn’t the point; it was about the no-frills driving experience and the feeling of being so connected to the road. The E28 was like the opposite of the M5: lots of torque down low, but it started running out of breath right when the M5 starts to get happy. For everyday driving, that actually wasn’t a bad thing. Q: Can you tell us about your site and how it came to be? 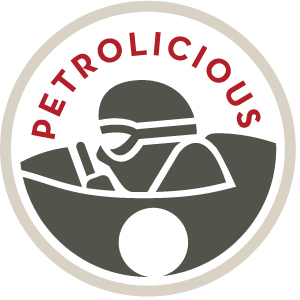 A: I really liked the idea of a destination on the web, even if it would only be frequented by a few friends (with whom it was started), that reflected my personal automotive taste and didn’t have any filler—it was started before Petrolicious, after all, even Tumblr. That it developed any sort of audience beyond this small internal universe was a complete surprise, but the web is funny that way. Of course, I’m all the more happy for it. 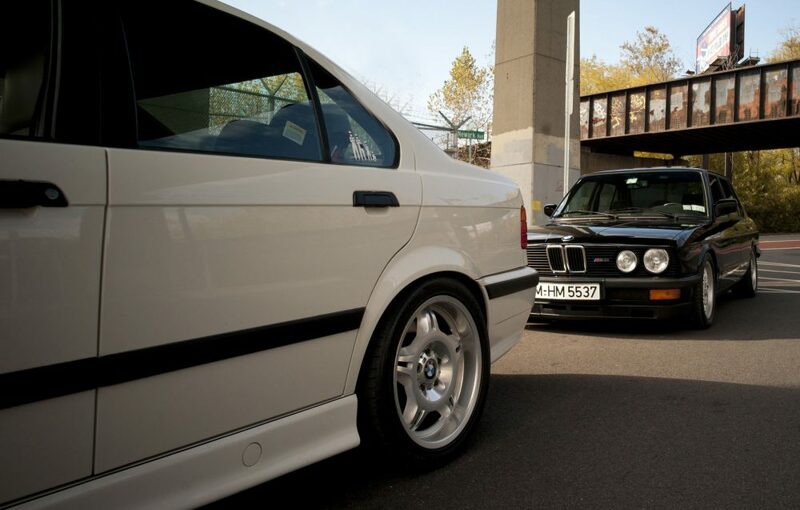 Q: It seems that BMWs are your primary love, is this the case? 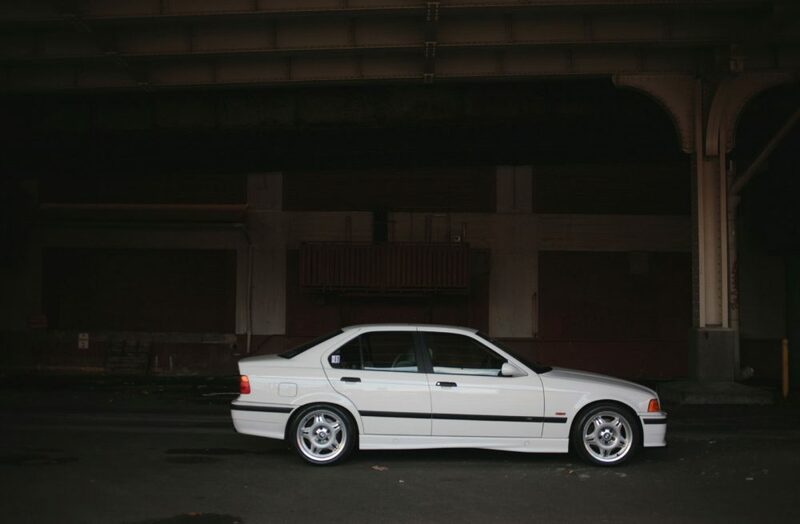 A: It’s true that I love BMWs—growing up, these were the cars that I really liked—but they are also well-suited to my particular station in life. As much as I love good drivers’ cars, I also have young children so I have a fundamental need for practical transportation. My cars each have four doors and relatively large trunks, so they let me wear a couple of different hats simultaneously in a way that, say, an aircooled 911 can’t. Q: What are your plans for the two cars? A: My plan is to keep both cars running well and enjoy them for as long as I have them. The M5 is probably a keeper, but I’d never say never—there are just too many cars I’d like to experience and only so much space. But it’d certainly be hard to let that one go. Q: Which is your favorite? A: The M5. It remains to be seen whether the E36 M3 will ever become an icon, but there’s no question that the E28 M5 is already there. Journal Which Is Your Favorite '80s DTM Street Icon? Hey Drew. Huge fan of the site. Wondering how many miles you’ve logged on the E36? It looks fantastic. Just curious. Two great cars, and gorgeous pictures, thanks for sharing. I’m in the same boat with the convenience factor having a young daughter myself. 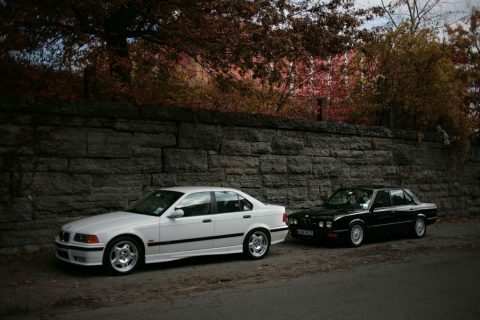 After spending my first 6 months with my first bmw, (an ’87 e30 sedan) I could see either of these cars in my upgrade path. Keep the 4 door classics alive for us family guys! I am not from NYC but I am amazed that someone could look at either of these beauties and be disgusted! Really?! What a beautiful pair! I’m currently about to part with my e36 M3 coupe (if only I’d found a sedan! 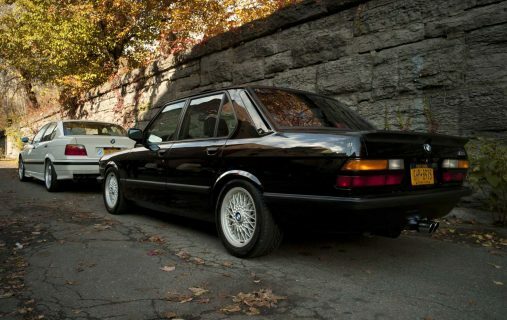 ), and my dad had an e28M while I was growing up, so I have an extra special love for both these cars. 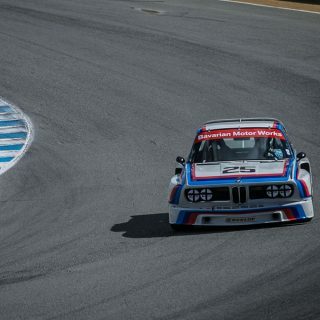 Congrats on the great piece, photography, and love of some of the best all-rounders BMW ever made! Living in Dubai, you don’t see classics like these very often. However, I saw a NA-spec E28 M5 a few months ago. In spite of the giant bumpers and being quite small by today’s standards, it had so much presence. The M5 is definitely a keeper. Enjoy it in good health Drew! Wonderful article and very timely too as I’ve been considering one of these two cars as my next car! I have a son and another on the way and I think this might have pushed me over the edge for the E36 seeing as how Drew has one (maybe two) car seats in the back of it. Funny how such similar taste we have, I even have the same Stig family decal! 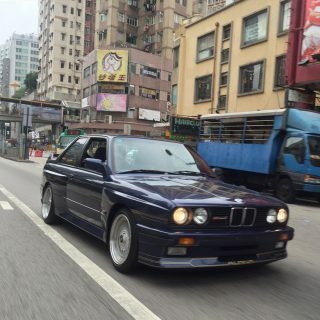 Love the cars Drew – and while I knew you had an E28 M5 from your website, I missed the E36 M3 (another one of my favorites!). 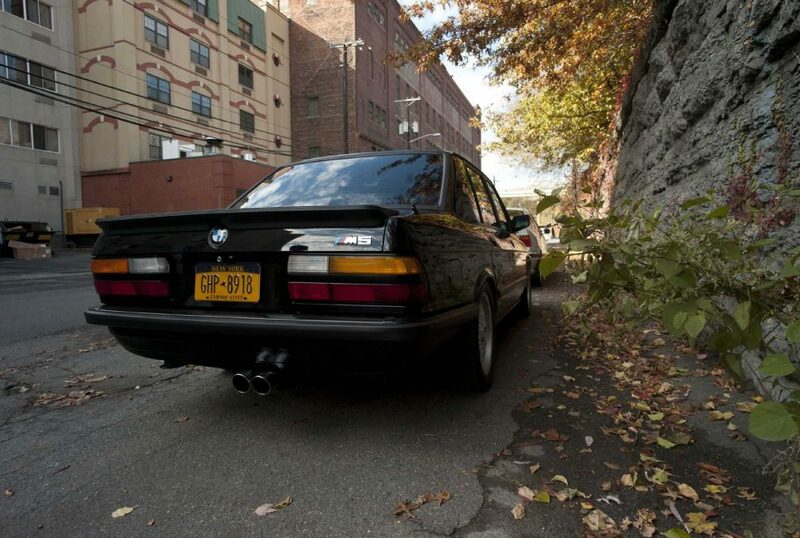 Great cars, good article and I always enjoy the “grab bag of stuff we like.” Keep up the great work and tell me when you want to sell that E28…. 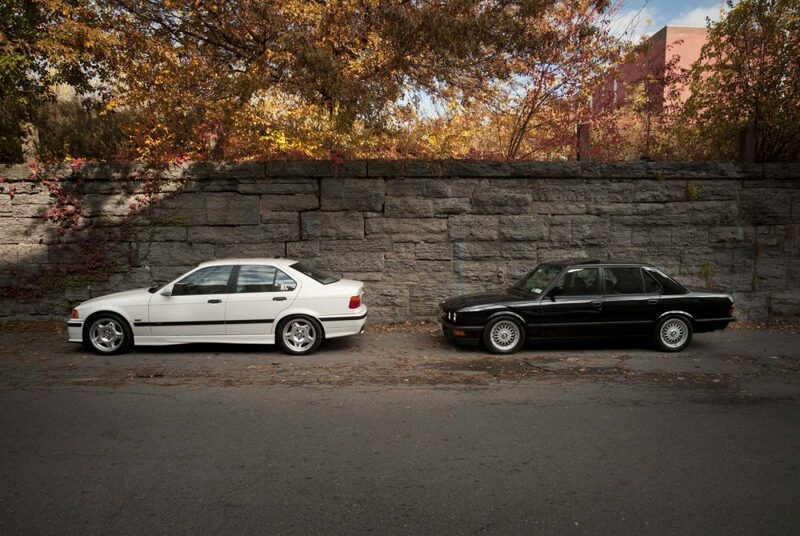 Great feature on two great cars, owned by one true enthusiast. Superb photography as well. 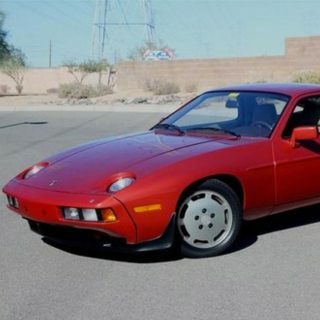 Thanks, Drew, for all you do at MotoringConBrio.com – easily one of my favorite web destinations (along with Petrolicious! ).